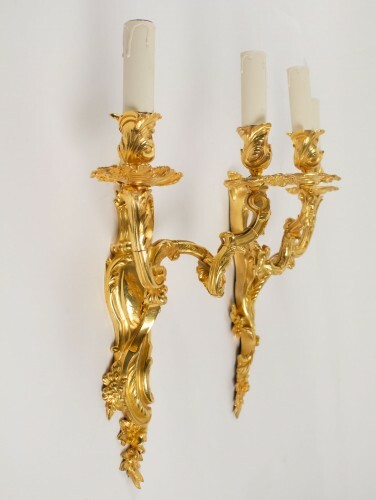 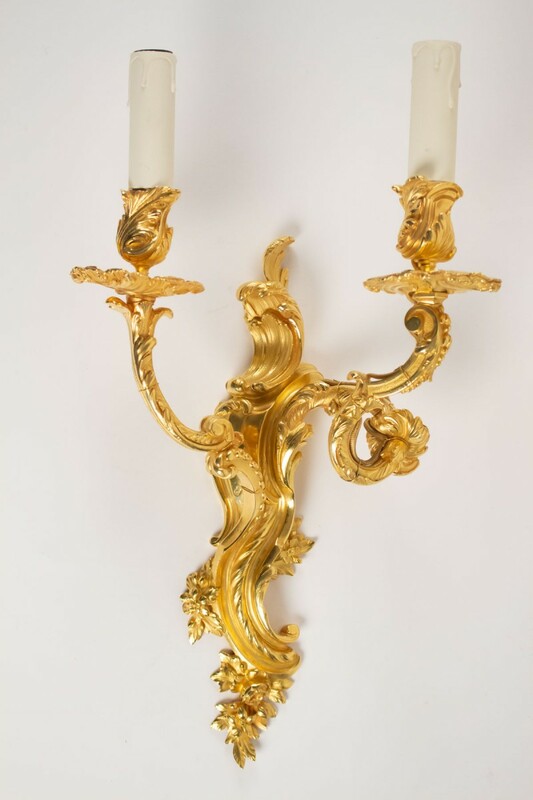 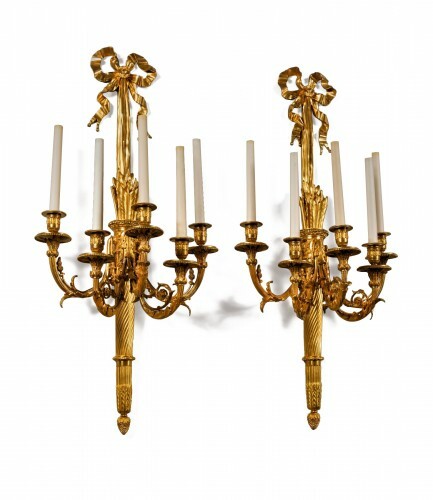 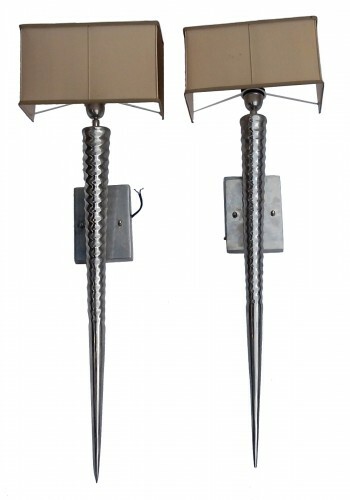 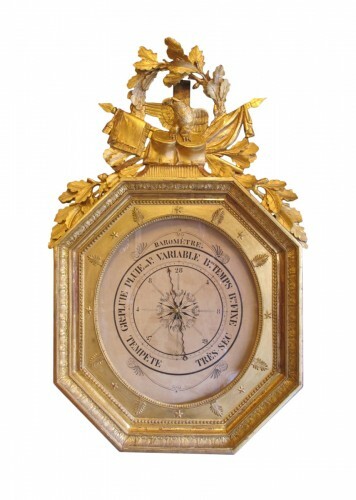 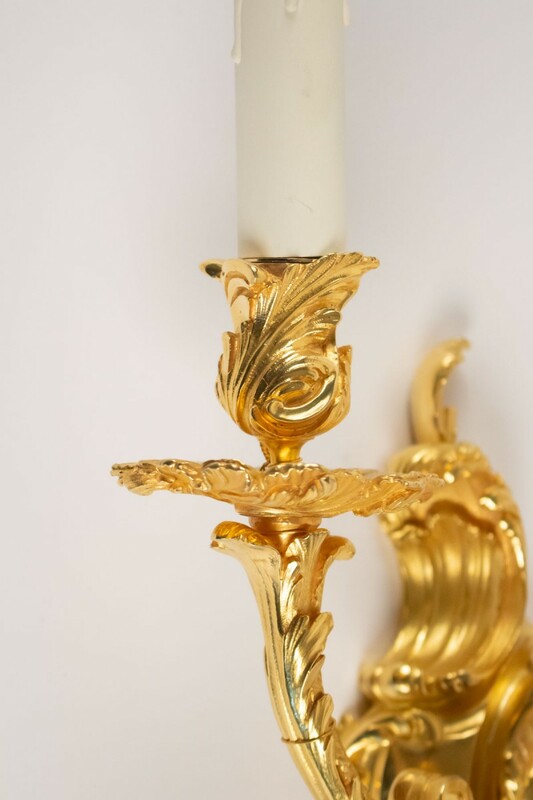 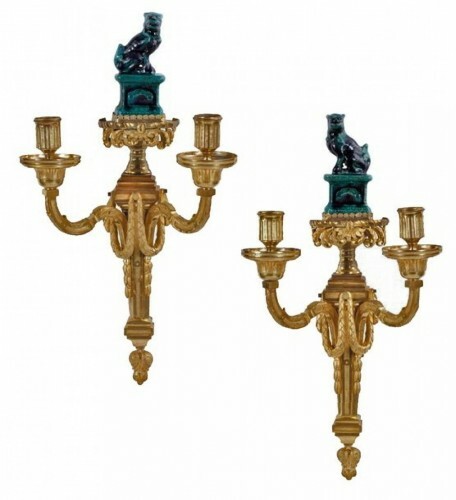 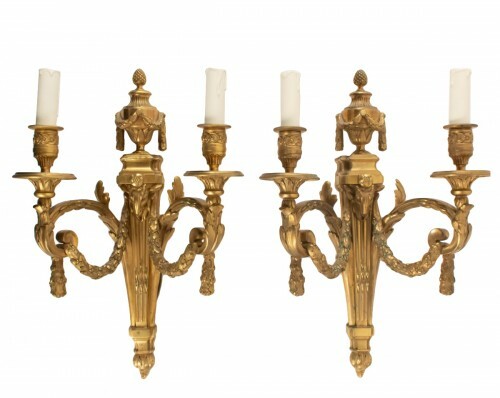 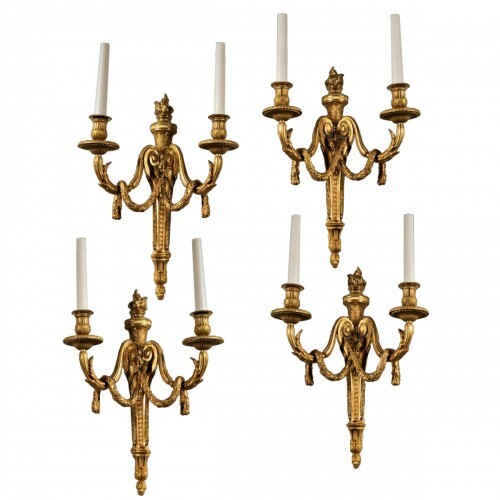 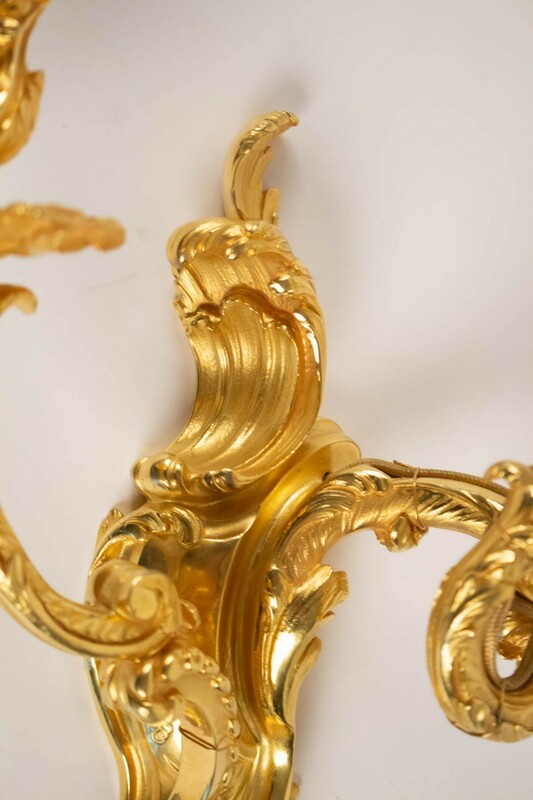 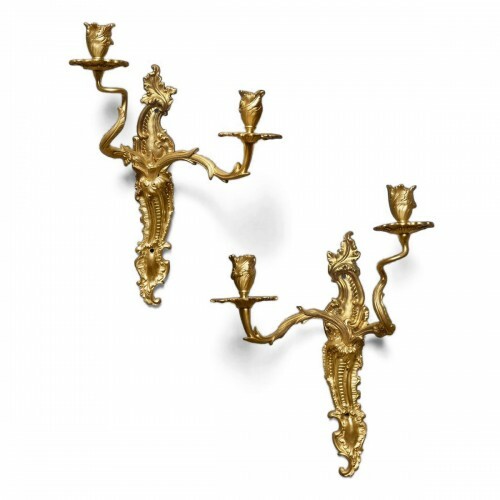 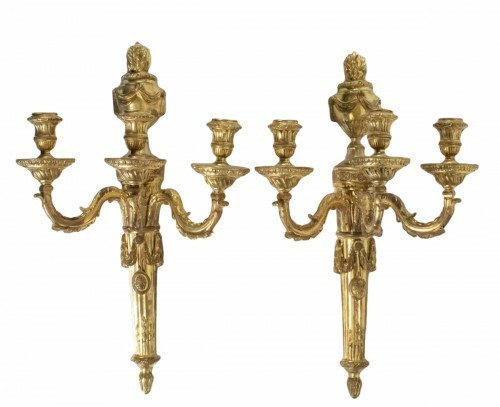 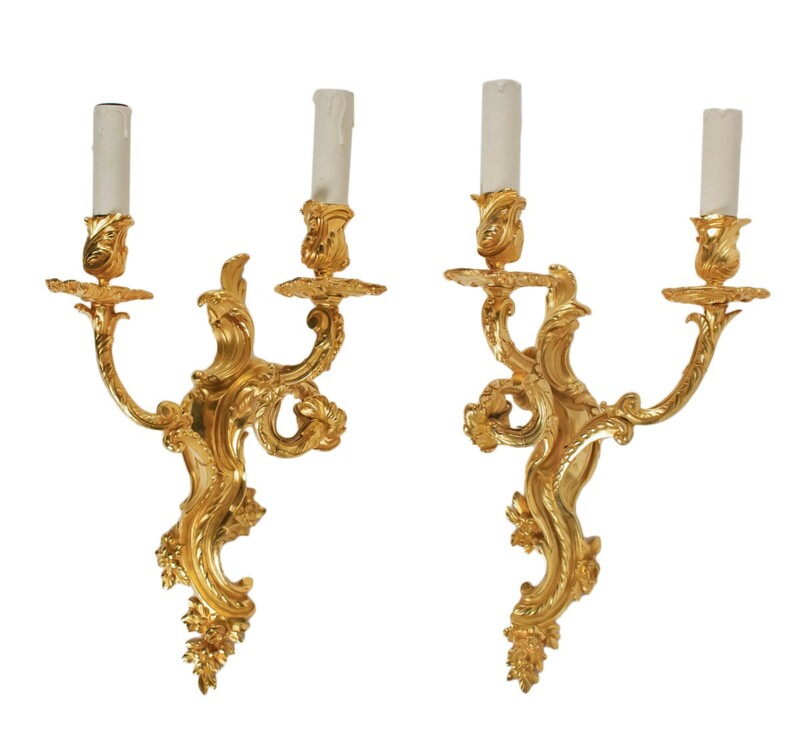 AnticStore > Catalogue > Lighting > Wall Lights & Sconces > 19th century > A Pair of Louis XV style wall lights. 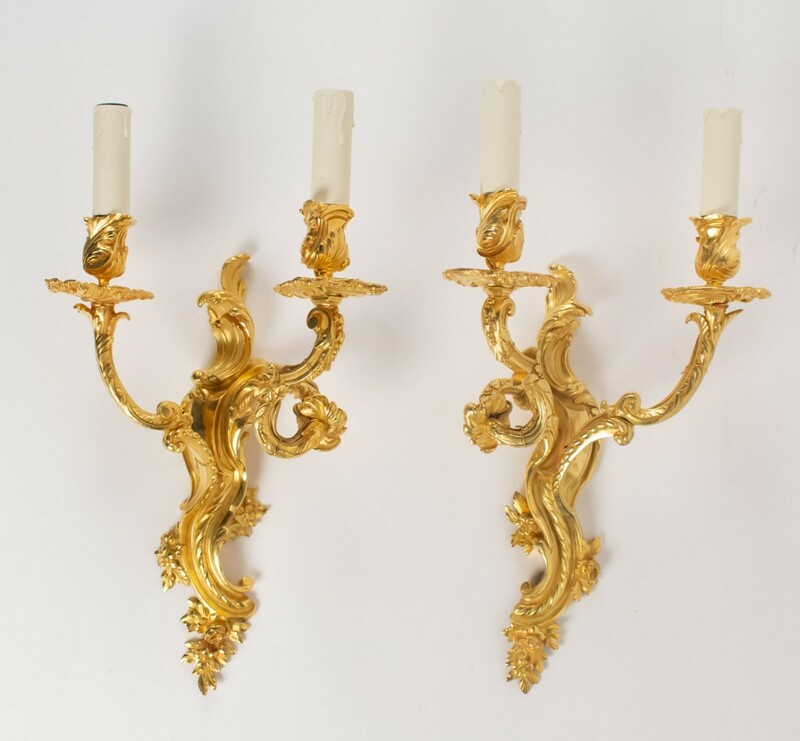 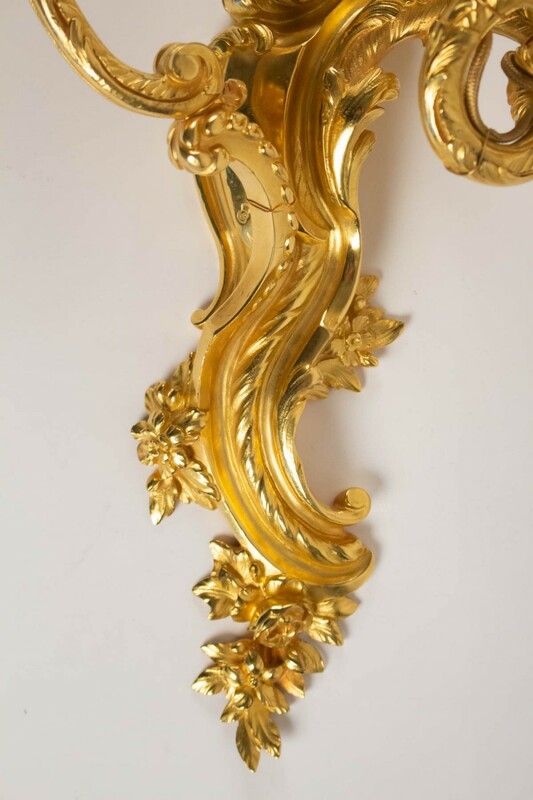 A pair of gilt bronze two arms wall lights decorated with leaves and flowers. Stamped "C couronné".